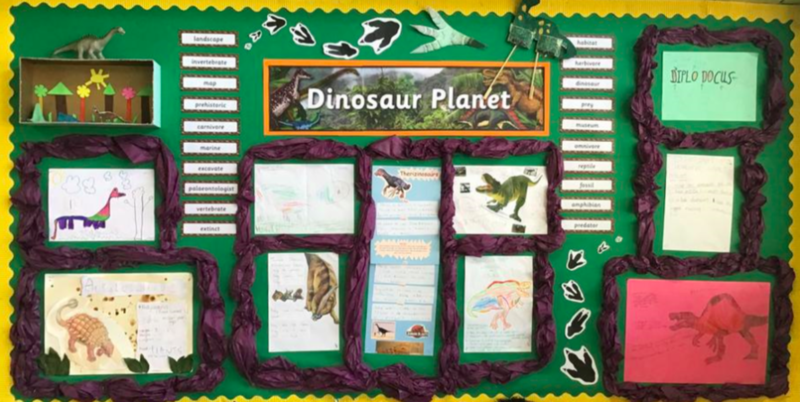 We have been continuing with our dinosaur topic and the children have been bringing in wonderful dinosaur habitats. We've been leaning about dinosaur teeth and how these differ depending on whether they are herbivores, carnivores or omnivores. Furthermore, the children have been learning about fossils and the work of Mary Anning in her discoveries a long time ago. Last Friday they had the opportunity to make their own fossils using salt dough. We have had an action packed week in Elm class. We have been thinking about staying safe on the internet and produced a set of rules for when we use the internet. Some of these are showcased on our new E-safety display board. Also, we have continued to work on our Dinosaurs topic, practicing how dinosaurs would have walked, as well as classifying them into groups. There have been some wonderful pieces of homework handed in, some of which can be seen on our topic display in the classroom. 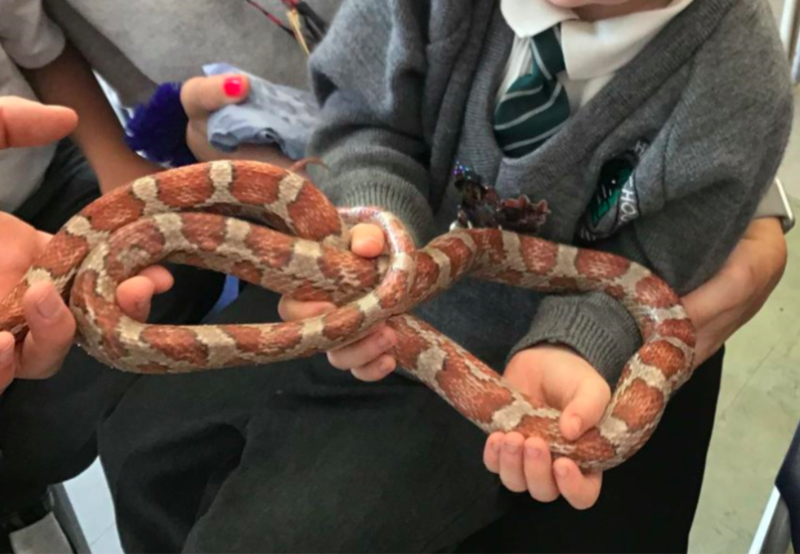 Furthermore, we have been lucky enough to have a Zoo Lab workshop where the children could handle and learn about many different animals.